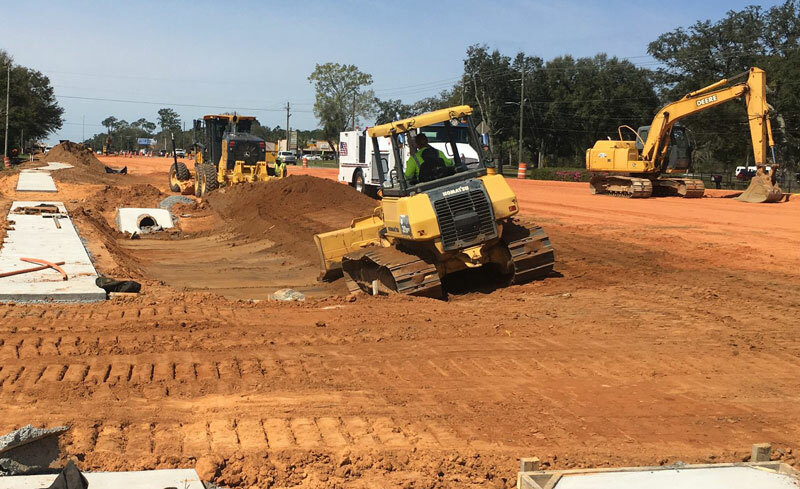 Drivers will encounter traffic disruptions on the following state roads and projects in Escambia and Santa Rosa counties as crews perform construction and maintenance activities. · U.S. 29 Widening from Interstate 10 (I-10) to U.S. 90A (Nine Mile Road) – The following traffic impacts will occur from 8 p.m. to 6 a.m. Sunday, April 14 through Saturday, April 20. U.S. 90 (Mobile Highway) and County Road (C.R.) 99 (Beulah Road) Intersection- Operations may require intermittent lane closures near the intersection the week of Sunday, April 14. There will be no lane closures allowed from 6 a.m. to 8:30 a.m. and 1 p.m. to 3 p.m.
I-10 Routine Sign Maintenance between Mile Markers 5-17 (U.S. 90A- U.S. 90/ Scenic Highway)- East and westbound traffic will encounter intermittent and alternating lane restrictions from 8 p.m. to 5 a.m. Sunday, April 14 and Monday, April 15 as crews repair overhead and sign lighting. State Road (S.R.) 190 (Pine Forest Road) Routine Maintenance south of Nine Mile Road - The north and southbound inside lane on Pine Forest Road south of Nine Mile Road will be closed from 8 p.m. Tuesday, April 16 to 4 a.m. Wednesday, April 17 as crews install delineators. U.S. 90 Bridge Maintenance over S.R. 291 (Davis Highway) - Northbound traffic will encounter intermittent lane restrictions over Davis Highway from 8 p.m. Monday, April 15 to 5 a.m. Tuesday, April 16 as crews replace joints, repair the deck surface, and clean the bridge. U.S. 90 Bridge Maintenance over Eleven Mile Creek- Eastbound traffic will be restricted to one lane over Eleven Mile Creek from 8 p.m. Tuesday, April 16 to 4 a.m. Wednesday, April 17 as crews replace joint, repair the deck surface, and clean the bridge. County Road (C.R.) 95A Bridge Maintenance over I-10- Northbound traffic will encounter lane restrictions over I-10 from 8 p.m. Wednesday, April 17 to 4 a.m. Thursday, April 18 as crews replace joints, repair the deck surface, and clean the bridge. 9th Avenue Routine Maintenance at Texar Drive- The outside north and southbound lane will be closed from 8 p.m. Wednesday, April 17 to 5 a.m. Thursday, April 18 as crews perform routine maintenance. C.R. 99 Bridge Maintenance over I-10- Northbound traffic will encounter intermittent lane restrictions from 8 p.m. Thursday, April 18 to 4 a.m. Friday, April 19 as crews replace joints, repair the deck surface, and clean the bridge. Nine Mile Road east and westbound: Untreiner Avenue, Detroit Boulevard, Fowler Avenue. C.R. 168 Bridge Replacement over Unnamed Branch- Construction activities will begin on County Road 168 over Unnamed Branch, northwest of Century, Wednesday, April 17. The new bridge will consist of two twelve-foot travel lanes with six-foot shoulders and a concrete barrier wall. The project also includes resurfacing the approaches to the bridge, new guardrail, drainage improvements, new pavement markings, and enhanced signage. Hanks Road Bridge Replacement over Breastworks Creek - Construction activities continue. The roadway will be temporarily closed during construction. Drivers on Hanks Road, west of the bridge, will be detoured to C.R. 99 and C.R. 4. Drivers east of the bridge will utilize Pine Barren Road. Drivers may encounter alternating lane closures on Avalon Boulevard, near the I-10 interchange, from 8 p.m. to 6 a.m. Monday through Thursday evenings as crews perform construction activities. Alternating lane closures on I-10, from the Escambia Bay Bridge to east of S.R. 281, from 8 p.m. to 6 a.m. Sunday, April 14 through Friday, April 19 as crews work to widen the roadway. · U.S. 98 Utility Operations from Pala Alto Avenue in Santa Rosa County east to Woodland Avenue in Okaloosa County- Drivers will encounter intermittent and alternating lane restrictions between Pala Alto Avenue in Santa Rosa County and Woodland Avenue in Okaloosa County from 8 a.m. to 3 p.m. until Thursday, April 18 as Pike Electric performs routine maintenance on power lines.